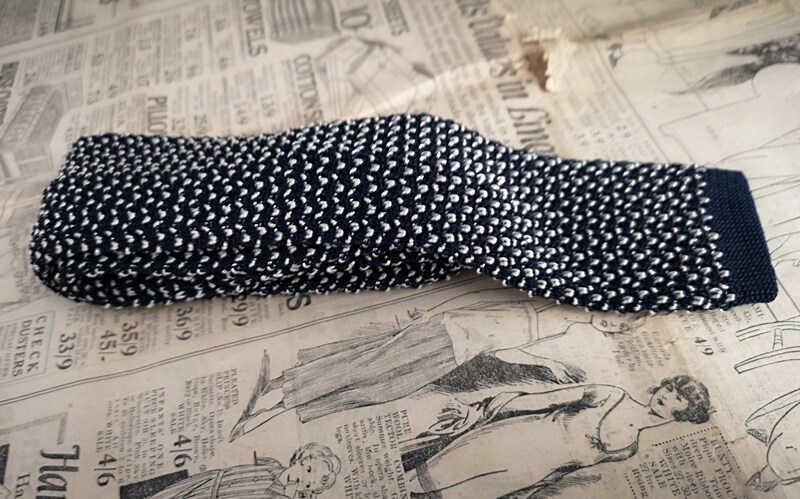 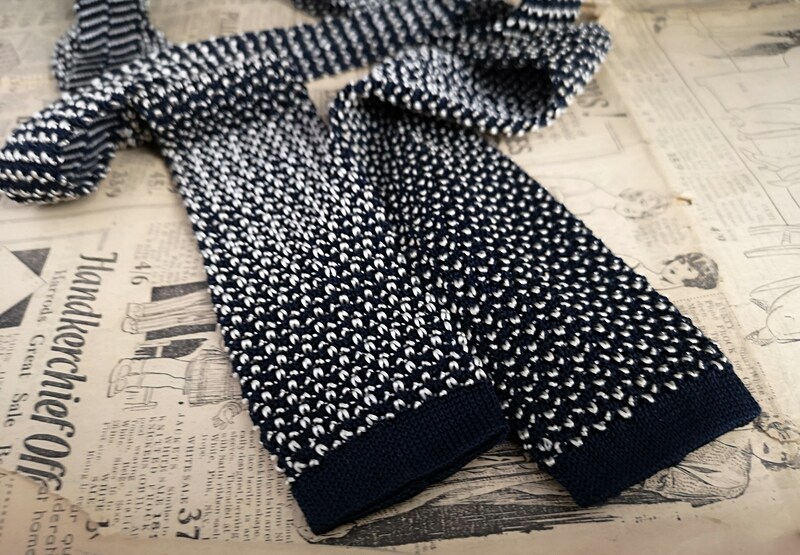 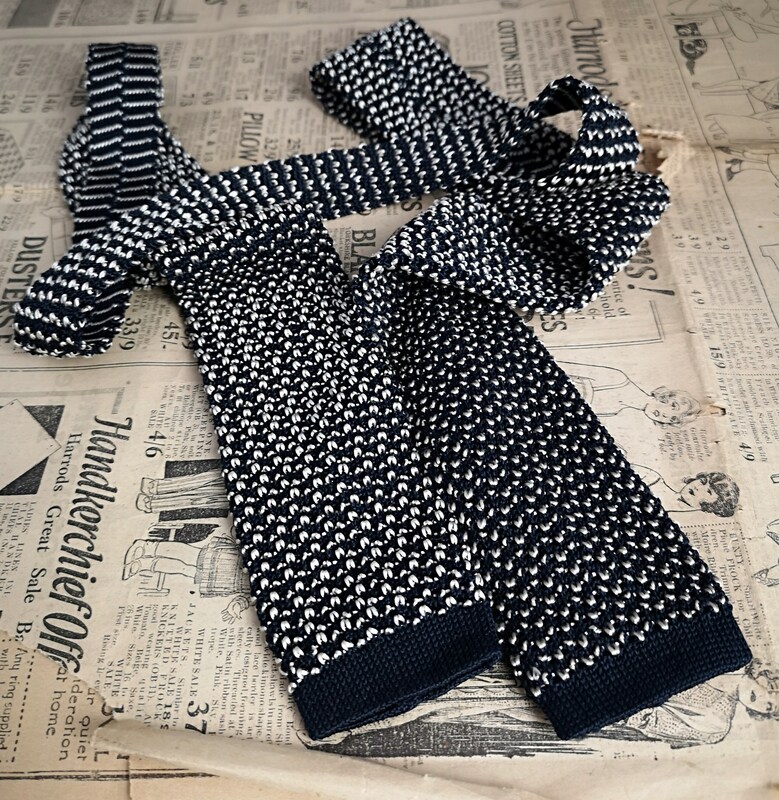 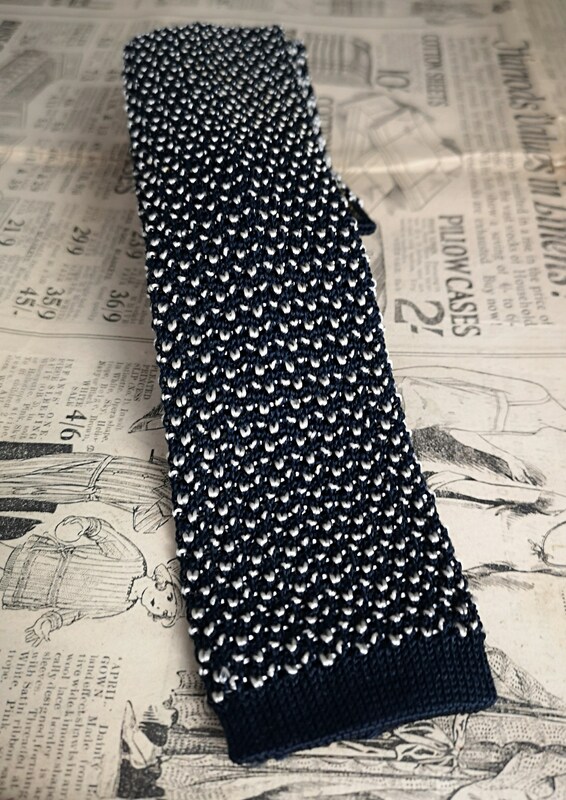 A very attractive gents vintage necktie in a boucle silk, all hand woven in a very dark nearly black navy and off white. 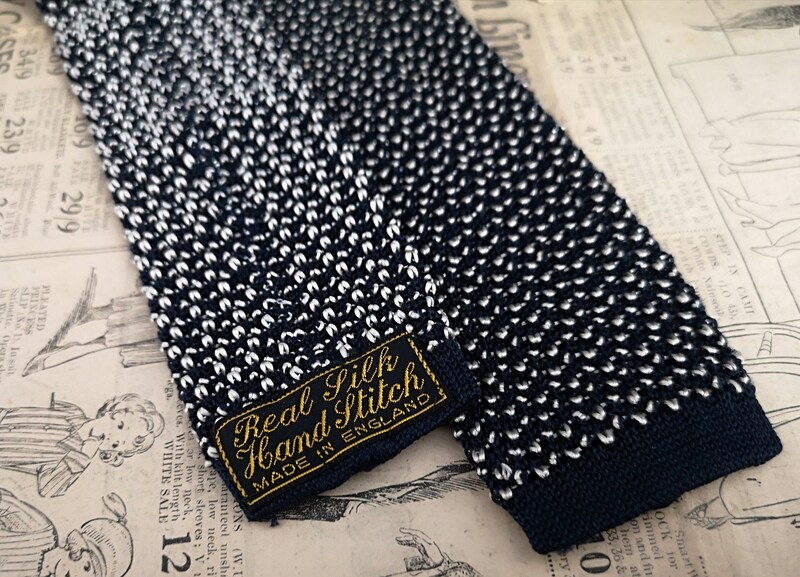 Made in England, entirely from silk, it has a slimmer middle and wider straight edge ends. 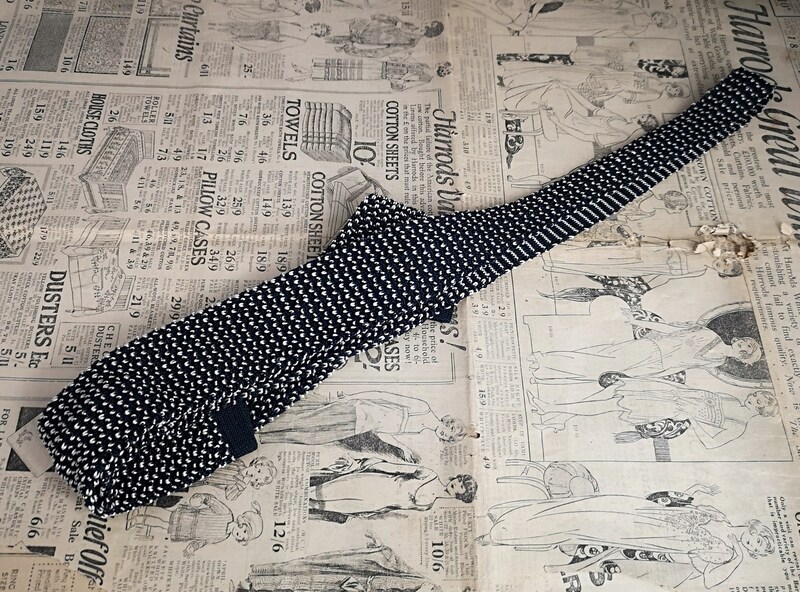 This tie is in very good condition with no real signs of use or wear and tear, original label to the back, 1950's.